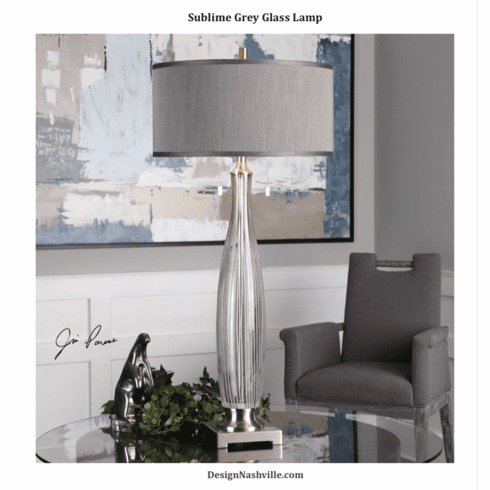 Light smoke gray glass featuring etched vertical stripes accented with plated brushed nickel metal details. The round hardback drum shade is a dark gray linen fabric with natural slubbing. Save 12% on a pair. Use the promotional code SCORE2 watch checkout.